Kodi is one of the best platforms, where you can find thousands of streaming apps based on your requirements. In this tutorial, we are going to share how you can Install Kodi on Smart TV. Kodi is now the go-to place for all home entertainment. The media organizer and streamer is becoming is even more popular, with people all over the world continuing to cut the cord. Smart TVs, on the other hand, are also becoming extremely prevalent for the same purpose, and combining the power of these two can only bring you the ultimate home entertainment experience. So How to Install Kodi on Smart TV? In this guide, we shall explore how to get Kodi working on your big screen. However, there are some many Smart TV brands available, and each brand is different from the other. Even the ones that use the same operating system like Android vary in the specifics depending on the developer. The procedure of how to install Kodi on Smart TV can therefore never be given specifically for every Smart TV brand. Instead, we’ll look at the general procedure that you can follow. Can I really Install Kodi on Smart TV? Kodi only works on four operating systems: Windows, Linux, Android, and iOS. This means that if your Smart TV runs any of the above, it’s possible to install Kodi. Smart TVs mostly run Android, Web OS, and Tizen. It’s definitely good news for you if you have an Android-based TV because you can install Kodi directly. This is despite the fact that some Android TV manufacturers don’t let you access the Google Play Store. In such a case, you can sideload the app and still get it running. If you happen to be using an LG TV or Samsung TV which are some of the biggest brands, then you won’t be able to install Kodi directly as there’s no Kodi app for these devices. However, this doesn’t mean that you can’t run Kodi on your Smart TV. You can do so easily by using a TV box, Nvidia Shield, Amazon Fire Stick, and TV or even by casting from your Smartphone/ tablet. Why Install Kodi on Smart TV? 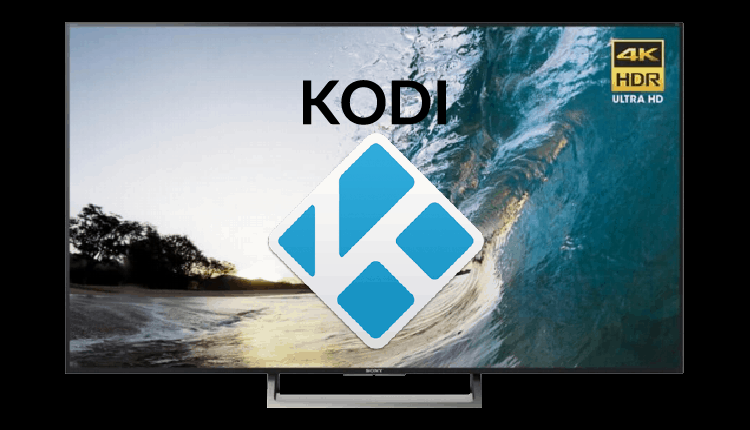 There are a number of reasons why you should install Kodi on Smart TV. The major reason is to be able to take advantage of the thousands of Kodi add-ons available today. Kodi, being open source, has attracted very many developers from all over the world, resulting in a plethora of Kodi addons that guarantee you thousands of entertainment hours. These add-ons are grouped into official and non-official Kodi addons. The official ones are hosted in the official Kodi repository, while the third-party Kodi add-ons are hosted by various third-party repositories. The latter lets you watch any content free of charge. The other reason you need to install Kodi on Smart TV is that the software excels at organizing your local media. Kodi takes videos from your computer or network hard drive, indexes it and also pulls Meta data from the internet. The media is then presented using Kodi’s excellent interface. At this age, internet privacy is quickly diminishing with ISPs, Governments and other agencies doubling up their surveillance. This means that everything you do while connected to the internet can be easily seen by anybody who has the capacity to. Without the right measure, you can’t carry out your online activities without other people knowing what you are doing. You can therefore easily be detected if you use third-party Kodi addons to stream illegal content. Such practices have seen thousands of users get DMCA notices from their ISPs. To stay private and anonymous, all you need to do is use a good Kodi VPN. A VPN will encrypt your data and then securely tunnel it to a server in your preferred location. This way, your ISP will only see that you are connected to a VPN, but won’t be able to tell what you are doing online. When you torrent, you will also be displaying a fake IP address, which will keep you safe from malicious people on the internet. Further, if anybody tries to intercept your traffic, they will only get encrypted stuff that they can’t make sense of. As a bonus, you will also be able to unlock any restricted content if you choose the right VPN. To take a headache out of your selection, IPVanish is currently the best VPN in the market and the best VPN for Kodi. The VPN is based in the privacy-friendly British Virgin Islands, offers the best speeds, and unlocks almost all streaming services, including Netflix! To help you get started, we managed to get an exclusive 57% of IPVanish. Most Smart TVs run on Android. However, every brand modifies their Android such that the specifics vary between brands. For this reason, we will try to be as general as possible. Some Smart TVs that run Android also don’t have the Google Play Store app, and so we will give two different procedure for Android devices. If your Smart TV has the Play Store app, then installing Kodi is just child play. Select the magnifying glass on the top side of the screen to launch the search option. Just type Kodi and search. Select the XBMC foundation app. It should be the first result. Click Install and acknowledge access request. If your TV falls in this category, then we’ll need to use a procedure known as side-loading. This generally involves downloading the app externally and then installing it. Before that, you need to make sure that you have given the Smart TV permission to install non-store apps. To do so, navigate to Security, and then try to find “Unknown sources”. Enable this option. You can then go ahead with the installation. The next thing you need to do is download the Android apk using your computer. You can get it at the official Kodi download site. Scroll down to the ‘choose your weapon’ section and choose the Android icon. Choose the ARM v7 (32-bit) version, unless you are sure that your TV can run the 64-bit app version. You can check this from at the specifications page. Save the .apk file on your computer, and then copy it to a USB drive. Insert the USB drive to your TV and locate it using File explorer. You can then select and install the app. Choose “package installer” or “Google Play Store,” whatever works for your TV. You should now have Kodi on your system in a short while. To launch the app, just select its icon like all other apps. LG and Samsung TVs are the biggest names in this category. Though they initially based their old Smart TVs on Android, they later decided to use their own operating systems. Unfortunately for Kodi lovers, you won’t be able to install the application directly therefore not able to Install Kodi on Smart TV. Don’t worry though, we’ll explore the options you have to make Kodi work on your Smart TV. This is the best option you have if you are using a non-Android TV. Actually, streaming Kodi on an Android TV box is even better than running it on a Smart TV. This is because TV boxes give you added flexibility in choosing a product because of their varied specifications that include the processing power. Further, TV boxes allows you to customize your apps much better than a Smart TV, and also give you more entertainment flexibility. We have a detailed guide for the best TV boxes 2018 that you can check out to know the best boxes you can go for. You can also check out our detailed guide on how to set up a Kodi Android TV box. You can also use other devices that can run Kodi like Raspberry Pi, Nvidia Shield or Amazon Fire Stick/ TV. This is always an option for using Kodi on Smart TV. If you are not familiar with casting, it involves duplicating a device’ screen on a bigger screen through a local network. It can also be referred to as screen mirroring or screencasting. If you are familiar with Chromecast, the device is based on this technology. It simply provides a means of casting your screen to a digital TV. There are so many apps that allow you to cast your screen from a smartphone to a TV. You can even cast your entire screen using the inbuilt capability. To know how to cast your Smartphone or tablet to your Smart TV, you can just do some googling. It’s an easy process and doesn’t involve any technicalities. Can I Install the beta Version of Kodi on Smart TV? If you’d like to use Kodi 18 leia on your Smart TV, it’s completely possible. The process is not much different from the procedures that we’ve given above. However, Kodi 18 leia can only be installed through the side loading process, even if your Android Smart TV has the Google Play Store app. This is because the beta version is still not available in the official store. However, you should note that the beta version is usually not stable, and therefore is meant for users that don’t fear bugs. Navigate to the Kodi download page. Scroll down to the ‘choose your weapon’ section and select the Android icon. Choose the ARM v7 (32-bit) version, unless you are sure that your TV or Android box can run the 64-bit app version. You can check this from the specifications manual. Save the .apk file on your computer, and then copy it to a USB drive. If you would like to cast from your smartphone or tablet, download using your phone. From there, you can connect the drive to the TV or Android box USB port. Install Kodi 18 leia and launch it. Though the installation procedure you use varies, we can all use Kodi on our Smart TVs. You should therefore not be discouraged just because your Smart TV runs on Web OS or Tizen. There’s always a work around on How to Install Kodi on Smart TV, at this modern era. However, the power of Kodi lies in its addons. You need to know the best Kodi addons and how to install them to maximize your Kodi experience. Fortunately for you, we have tens of Kodi addon guides that are meant to simplify the process for you. Now that we have shed light on How to Install Kodi on Smart TV, just remember to use IPVanish the best VPN for Kodi whenever using the streaming software, to always stay on the right side of the law.